This illustration was created with pencil, ink and air brush on drawing board. 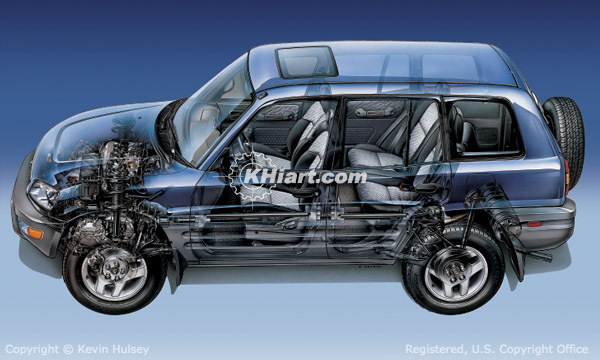 The image above is a compact SUV profile view that was ghosted to show the interior, engine and driveline. 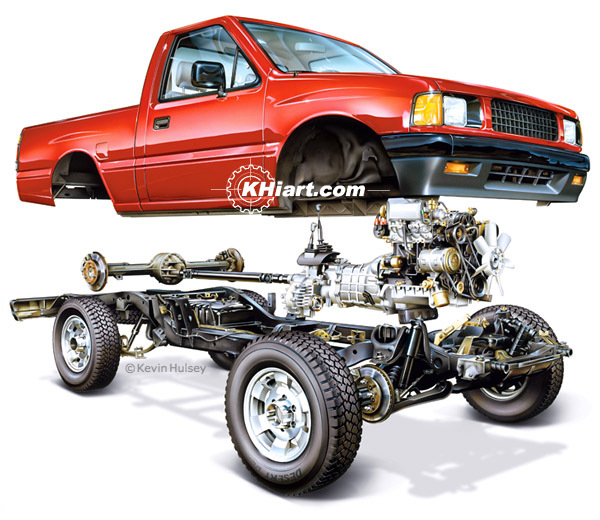 Technical exploded illustration of a pickup truck with body shell, driveline and undercarriage ladder frame. 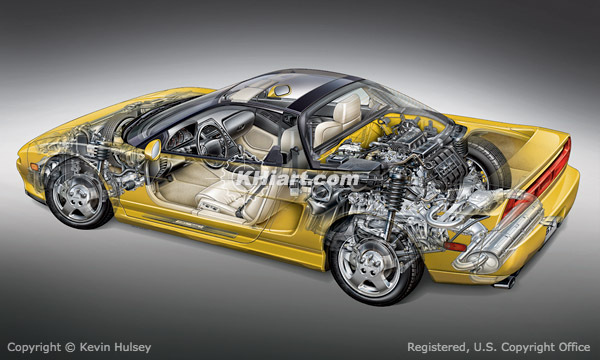 Rear engine sports car mechanical illustration. 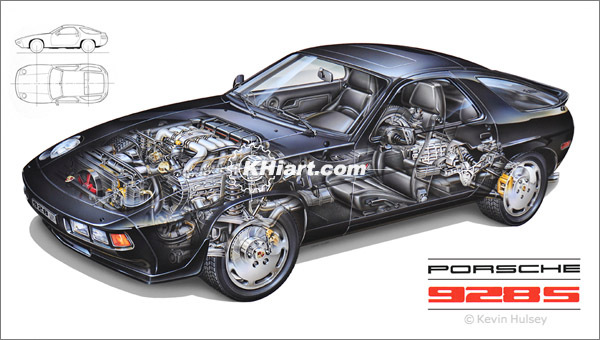 Illustration of a mid 1980s Porsche sports car cutaway airbrush drawing. 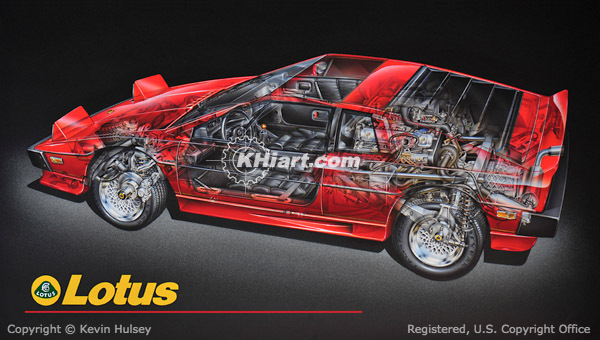 Illustration of a mid 1980s Lotus Esprit sports car airbrush drawing. The reprinted artwork above came from a D.O.D. 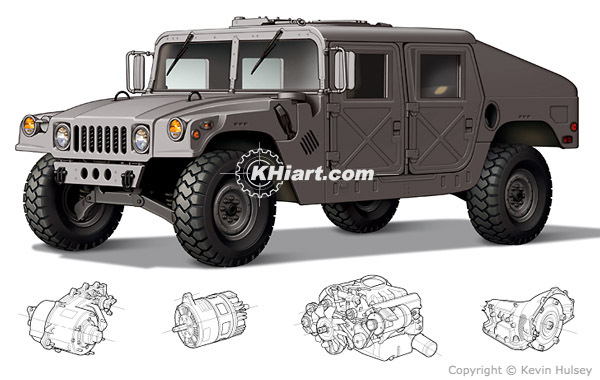 ad for reconditioned Hummer Humvee military vehicles with the replacement parts shown in line drawings below the vehicle exterior. 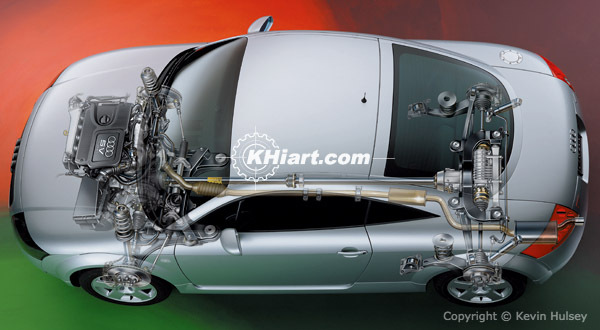 This aerial cutaway image was done for the Audi TT launch brochure. 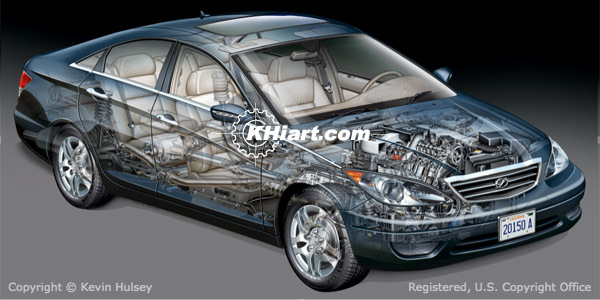 This digital illustration of a modern japanese car was created in Photoshop and each sub-system of the car is on a individual layer. This digital illustration of a generic 4-door passenger car was created using Illustrator and Photoshop. 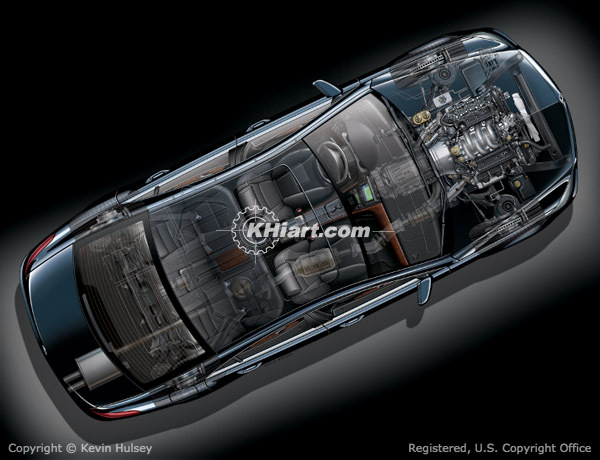 Some of the car illustrations on this website were created using traditional airbrush along with pencil, ink, acrylic paint and cold-press drawing board. The newer images on this page were created digitally, using Adobe Photoshop and Illustrator drawing software.